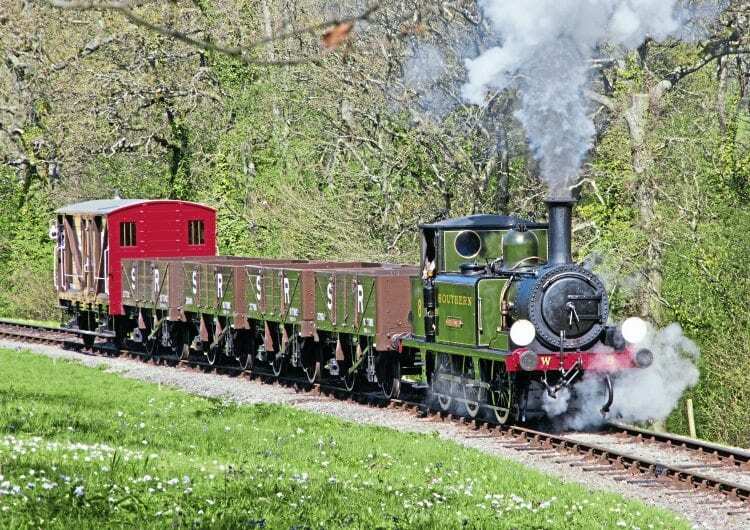 THE Isle of Wight Steam Railway ran its restored 1930s coal train as a complete entity on April 9, adding another facet of typical island railway working to its visitor offering. The restoration of the train of four London, Brighton & South Coast Railway 10T five-plank open wagons may be unique on British standard gauge preserved lines in that all of the vehicles have direct links to the railway they now work on. Nos. 27730, 27766, 27834 and 28345 are ex-island wagons, survivors of several hundred LBSCR transferred to the IoW by the Southern Railway in the 1920s. Having a restored rake working on the line where they formerly worked is usually the preserve of the narrow gauge, making the IoWSR achievement something special.